Social media giant Facebook acknowledges error over action on a post that came on the back of the New Zealand terror attack. New Delhi: Facebook has apologised to social media activist Dhruv Rathee for “erroneously” banning his Facebook page over a post that had highlighted portions of Adolf Hitler’s biography from Britannica Encyclopedia. 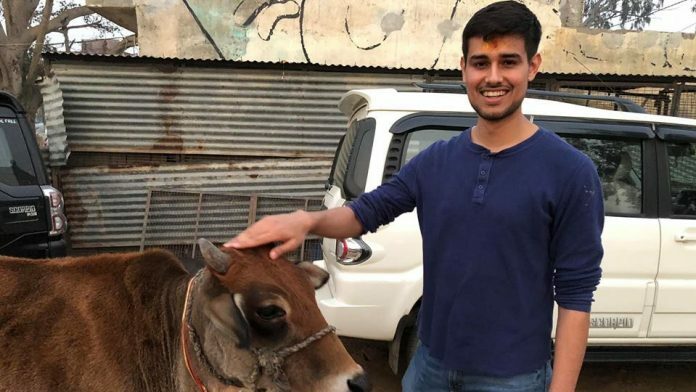 “Our content reviewers mistakenly removed a piece of content posted by Dhruv Rathee, leading to the temporary disabling of his account,” a Facebook spokesperson told ThePrint via email. The underlined portions of Rathee’s post describe how Hitler and the Nazis gained financial security through industrialists, how Hitler’s personal ambitions created friction among his party leaders, and how he did not entertain thoughts of marriage for fear it would hamper his political career. The post came on the back of the terror attack in New Zealand on 15 March, in which a white supremacist killed at least 49 people at two mosques in Christchurch. Rathee had tweeted on the morning of 17 March that Facebook had blocked his page ‘@DhruvRatheePage’ followed by over 5,50,000 Facebook users for a post about Adolf Hitler. He alleged that his Facebook page may have been banned because the page was closing in on the popularity enjoyed by Facebook pages supporting Narendra Modi and BJP. By midnight on 17 March, Rathee, however, tweeted the apology notice he received. Thanks a lot for your support guys! Just opened Facebook and they have restored my account and removed the block. Rathee is a popular social media activist. Apart from the 5,50,000 Facebook followers, he has 1.7 million subscribers on YouTube, 2,22,000 followers on Twitter and 1,12,000 followers on Instagram. His post on the ban, for instance, collectively gathered over 21,000 likes and over 10,000 retweets on Twitter.